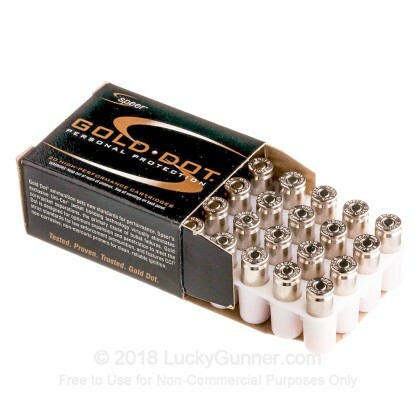 Speer Gold Dot continues to be the #1 duty ammunition for law enforcement agencies. 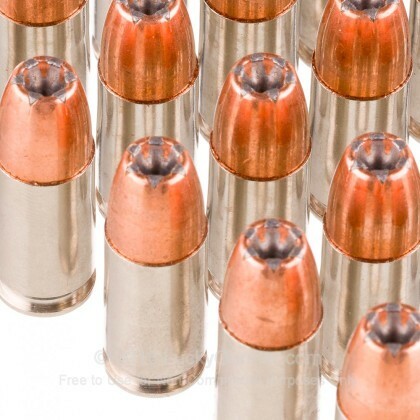 Law Enforcement agencies prefer Speer ammunition for duty use due to its performance in the rigid FBI test protocols. 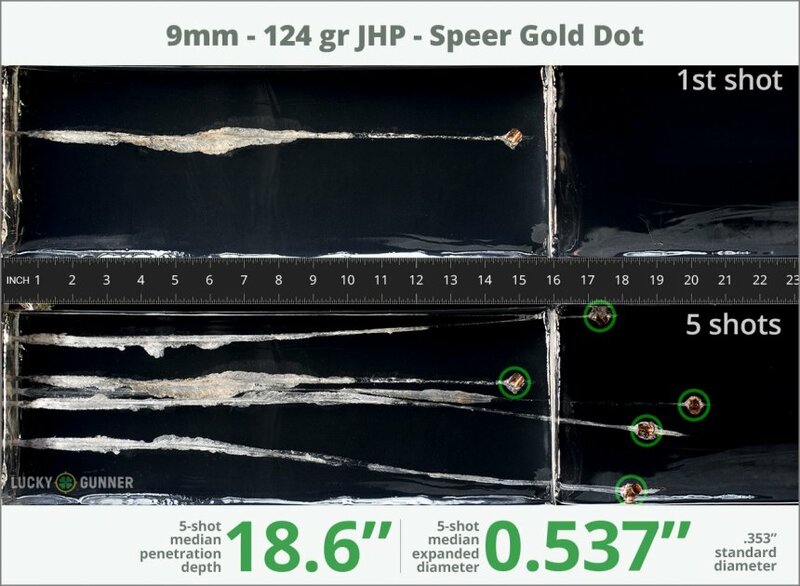 What makes Speer perform so well through the various barrier tests such as compound angle auto glass is that Speer bullets undergo a unique bonding process which prevents core jacket penetration. Ballistic gelatin testing is one way to get an idea of how a self-defense load might perform in a real world self-defense situation. 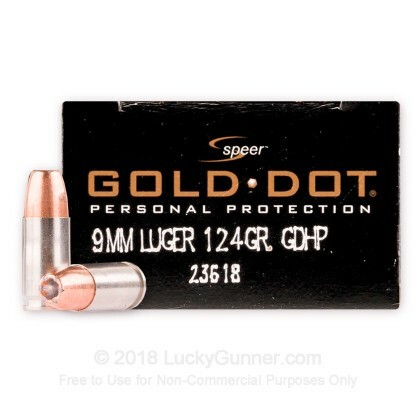 So we fired five rounds of Speer 124 gr Gold Dot from an M&P9c from a distance of 10 feet into a block of synthetic ballistic gel with a barrier of four layers of fabric simulating heavy clothing. We then gathered information on the expansion and penetration characteristics of this load. That data is represented in the chart below. 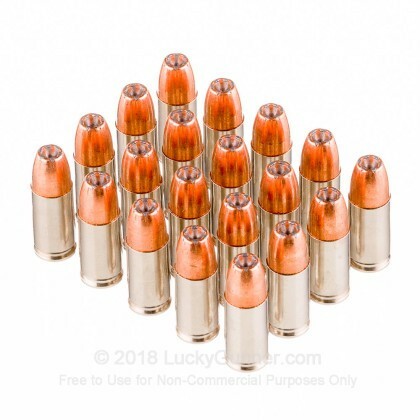 0.90" This ammo: 0.537" Min: 0.32" Median: 0.50" Max: 0.90"
18.6" 0" 5.6" 17.7" 47.5" This ammo: 18.6" Min: 5.6" Median: 17.7" Max: 47.5"
If I ever have to count on one bullet in a self defense situation, this is the one I would want to have in my 9mm. 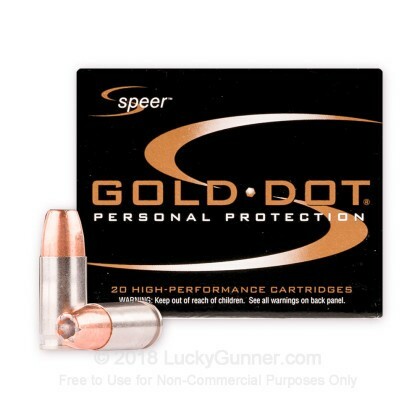 I have tried several other SD ammo and found it can count on Speer Gold dot. 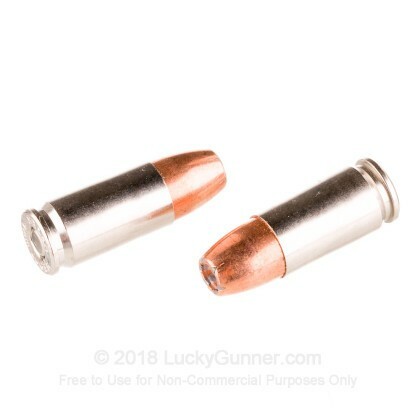 I think it's the best sd ammo in 9 mm.